New Orleans: In honor of their third anniversary, Ace Hotel New Orleans will be holding a 72-hour flash sale on March 14, 2019. Anyone who books during this window will receive 30% off a three-night stay between March and August 2019. Use the code TROISANS. Saint Lucia: Forget to take a Caribbean vacation this winter? There's still time. If you travel by April 30, you'll get 45% off all-inclusive rates and 50% off room and breakfast rates at Calabash Cove Resort and Spa. Aspen: After an action-packed day on the slopes, there is no better place to après ski than historic Hotel Jerome, which is offering a fifth night free on all bookings made through April 15, 2019. Scandinavia: It's the most expensive place on earth (just about), and SAS Airlines is taking a chunk off your trip budget with a sale on flights to Copenhagen, Oslo, and Stockholm. Book by March 21. New York City: The team behind Ace Hotels has a cute new spot on the Bowery called Sister City. And through April 30, 2019, they are offering preview rates that start at $99 for all members. All you have to do is create an account here. Europe by Train: How Brexit will impact crossing the Channel is anyone's guess, but, in the meantime, Eurostar is having a 20% sale for trips between London and Paris, Brussels, and Amsterdam. Book by March 19 and travel between March 4 and September 4, by which date the English may or may not have figured out their Brexit plans. Europe: To commemorate the 75th anniversary of D-Day, The National WWII Museum is organizing two once-in-a-lifetime cruises to take travelers of all ages to see the major historical sites of the war with best-selling authors, world-renowned historians, and expert battlefield guides leading the way. Join the milestone voyages aboard the 550-guest Seabourn Ovation (May 29–June 7, 2019) and the 500-guest Regent Seven Seas Navigator (May 30–June 8, 2019). Prices start at $12,599 per person. Tecate, Mexico: This summer, head to the original destination spa for a few days of R&R. 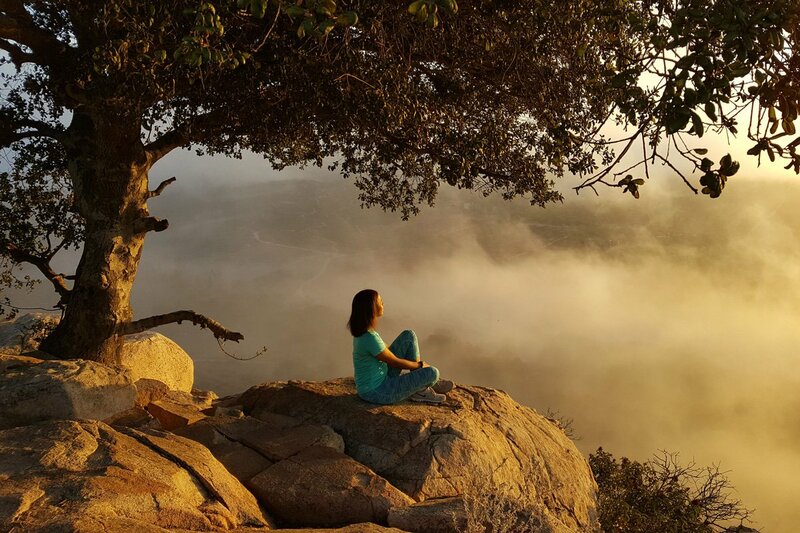 Rancho La Puerta is offering guests 10% off singles, 15% off doubles, 20% off triples, and 25% off quads on stays from July 1-September 14, 2019, plus a $150 spa credit per guest. Standard International (Standard Hotels and Bunkhouse Group) has announced fifteen new projects, including their first European hotel in London and an outpost in the Maldives. Rocco Forte Hotels will be opening new properties this year — Hotel de la Ville in Rome and Masseria Torre Maizza in Puglia in May, followed by The Westbund Hotel in Shanghai this fall. Palermo is on the horizon for next year. They will no doubt be gorgeous, as is everything that director of design (and Sir Rocco's sister) Olga Polizzi does. 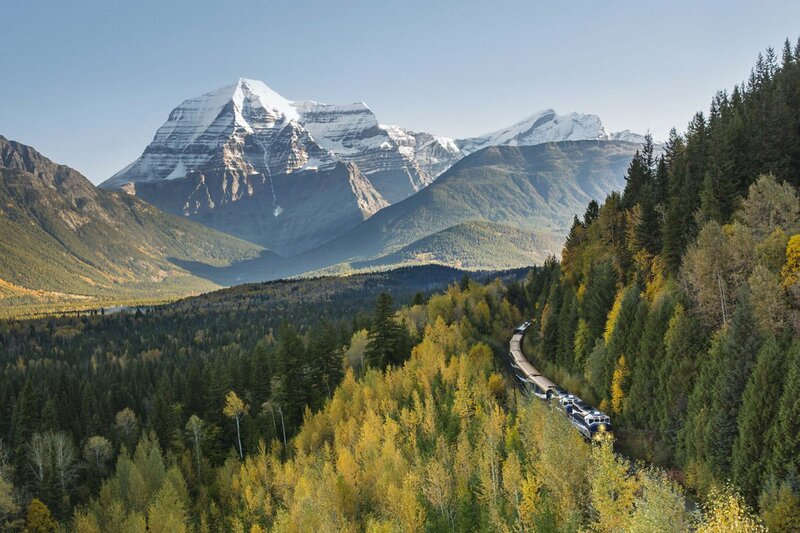 Canadian Rockies: Scenic train company Rocky Mountaineer is having a sale (which they rarely do) on two of their trips: Classic Journey gives you $240 off three nights on their GoldLeaf Service (book by 2/28). Or get $400 in extras per couple on a five-day journey with Stay & Play (book by 3/1). 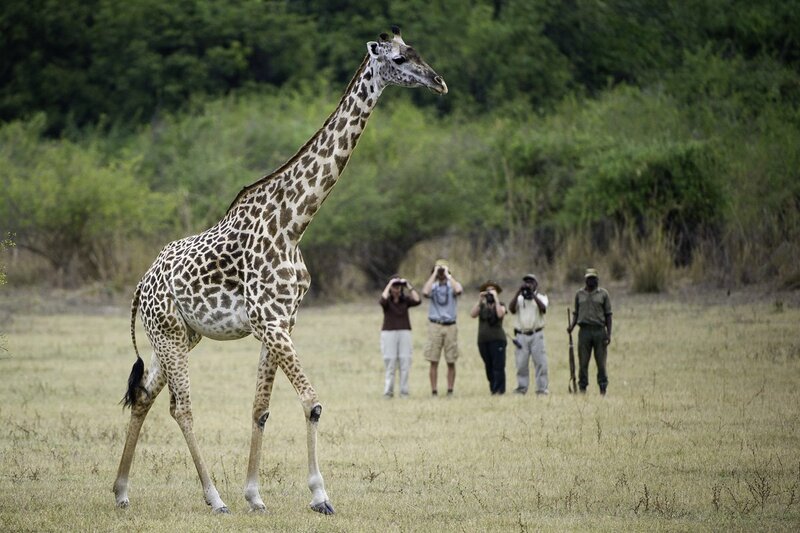 Kenya: This October, Africa’s original safari outfitter, Cottar’s Safaris, is celebrating a century in business with two nostalgic thirteen-night tours highlighting the Cottar family’s favorite spots discovered over their 100 years in Kenya. Hosted by Calvin Cottar, a fourth-generation Kenyan and the great-grandson of the founder, these once-in-a-lifetime adventures will take guests from the remote and rugged Meru and Kora parks to the wildlife-rich Masai Mara. Rates start at $18,531 per person for shared accommodations and include internal flights, transfers, room and board, and some activities. Bhutan: Sister hotels COMO Uma Paro and COMO Uma Punakha have partnered with Natural World Safaris and British-American photographer and Kodak Ambassador Michael Turek to launch Bhutan’s first film and photography expedition, an eight-day tour showcasing the country’s most beautiful sites. Rates from $5,800 per person sharing accommodations and include room and board. Venice: Aman Resorts is launching a new series of curated events designed to re-engage the senses and free the mind under its new brand ATMA. The inaugural celebration will take place at Aman Venice on March 1, 2019 with Carnevale del Futuro, a night of revelry and elevated spirits that will end with an intimate dinner featuring a live performance by British pianist and vocalist Jamie Cullum. Chicago: To celebrate the opening of their seventh hotel, The Hoxton, Chicago, the brand is offering an early-bird rate of $77 per night on bookings made between now and February 27, 2019. Valid for travel through March 2020. Use code LUCKY7 to book. Japan, South America, Australia's Kimberley Coast: Calling all solo travelers: Silversea Cruises is waving the single supplement fee on 14 journeys around the world in 2019 and 2020. Don't procrastinate, as the offer expires on February 28. Sun Valley, Idaho: You haven't missed this year's ski season out west yet. Depending where you stay and when you go, you can get free lift tickets (Stay & Ski Free), an extra night in March (Stay Three, Get One Free), or 40% off lodging and lift tickets (Mountain Collective + Epic Pass + Bogus Basin Special). The info is all here. Portland: The second and newest U.S. outpost of hip U.K. millennial hotel group, The Hoxton, is offering Fathom readers a special discount of 20% off nightly rates for guests traveling to The Hoxton Portland between now and May 31, 2019. Also included: healthy breakfast bags and free WiFi and international calls. Black-out dates apply. Use booking code Fathom. St. Lucia: Already sick of winter? Sugar Beach, A Viceroy Resort, is incentivizing your upcoming Caribbean Escape with up to 25% off Luxury Villas, The Residences, and Luxury Beachfront Bungalows, plus free breakfasts for two. This is good for stays through December 25, 2019. Riviera Maya,: Stunning Rosewood Mayakoba is celebrating the launch of Aqui Me Quedo, their new adults-only beach club, with Yo ♥ Mexico, a weekend food festival on February 22-24, featuring chefs Rick Bayless, Edgar Nuñez, Javier Plascencia. Riviera Maya, Mexico: More deals in the sunshine. Viceroy Riviera Maya will give you the third night free, plus free breakfasts, through May 31, 2019. Aspen: Snow more your speed? Aspen Snowmass has lots of special winter offers, including $60 lift tickets at Aspen Highlands and Buttermilk (to celebrate their 60th birthday); a buy-four-get-the-fifth-free, including 25% off lodging; and a kids-ski-free offer. Williamsburg, Brooklyn: Try Brooklyn on for size with 20% off an extended stay of five nights or more at The William Vale, a futuristic escape in the borough’s coolest neighborhood. Paris: La Réserve Hotel and Spa, one of our favorite hotels in the world, is offering a Cosy Winter package that includes guaranteed upgrades, breakfasts, afternoon tea, and museum tickets on stays of at least three nights through March 20, 2019. Paris: Score up to 50% off apartment rentals this January and February with Paris Perfect. Shoppers might want to schedule their trip around and right after Valentine's Day, as the city's bi-annual soldes start around Feb. 19. Manhattan: The Lowell — uptown NYC at its most elegant best — has a Stay for 2 and Pay for 3 package that gets you 33% off every night you stay after three nights and up to 21, through March 31, 2019. Belize: Here's one where you're supposed to drink on vacation: Copal Tree Lodge will launch a five-day Rum Camp program April 24-28 and May 15-19. You'll learn rum-making basics, from harvesting to bottling, with lots of tastes in between. Miami: Carillon Miami Wellness Resort's "Come As You Are. Leave As You’ve Never Been" gives you special rates on out-there-sounding treatments like Brain Restoration and Age Renewal IV NAD therapy. Zambia: The Bushcamp Company is offering 30% off 5-night, all-inclusive walking safaris in South Luangwa National Park during Emerald Season, which is summer in Zambia. This includes two nights at Mfuwe Lodge and three nights at The Bushcamp Company’s own in-park camps. Hippos, impala, storks, giraffes: The gang's all here, waiting for you. To book, contact Paul Swart of Natural Migrations at paul@naturalmigrations.com and quote the code 007. Nice, France: The all-business class airline La Compagnie will start a new seasonal route from NYC to Nice, a surprisingly not-so-popular route given how so-very-popular the south of France is in the summertime. The launch promo has rates as low as $1,300 round-trip. From intimate, off-grid nature reserves to stylish boutique digs in urban neighborhoods, here are the twenty hotel openings we're most excited about for 2019 — plus an additional list of 70 global hotel openings that we have our eyes on.